After packing till about 1am and finally making it to bed I was totally mixed with emotion. Excitement, nerves, apprehension and lots more. I was up at 6am to load the van and head off. I went via Gloucester in the morning for a job interview. I was worried how I'd perform as I'd had about 4 hours sleep by the time I nodded off! Anyway it seemed to go OK (ish) but we’ll see. I felt like a right knob jockey driving a van in a suit and heels! Rest assured, first services I came to I got changed. I had hours to kill before reaching Birmingham. Part of this trip is about ‘slowing down’ as well. I'm usually forever dashing from A to B; I'm always late and never seem to get things all done in time. So, as a first lesson to myself I casually lingered at the services. Got the guitar out and strummed a few tunes. Got out my new jetboil water canister and made myself a coffee. Then I realised I was hungry so had my first cous cous with mackerel – absolutely lush. Anyway 2 hours later (which felt very surreal) I headed off to Birmingham. Birmingham (Central City) welcomed me immediately. I really appreciated this as it was my first derby stop and I was really nervous as I know they’re a very strong team! Loads of smiles, who are yous, what team are you from, how come you’re passing this way? So it was really easy for my nerves to subside quickly. The coach was from “Crash Test Brummies.” I knew it was going to be a good session as I've seen Crash Test Brummies play and they were a very strong side. There was a mix of ability there - from clearly very advanced, through to people who had not long come out of Fresh meat. Everyone was good though. Learnt lots at this session. Every drill was different to those I'd done before, it was so good to be part of it. Not to mention making us take the bleep test on skates. I have no idea what level I reached I just know I came about 4th which I was OK with (and no there wasn’t only 5 doing it before you ask!) I'm not gonna lie though, I was completely puffing out my a*s. I’d like to do that again when I’m in better shape. I feel I've lost a bit of fitness over the last few months due to the commute each day, so I'm hoping this trip will give some of that back! All the girls were ace and very lovely and it left me feeling very excited about the upcoming month. I was gutted it had got to 10pm so quickly and all I wanted to do was carry on skating! If I'm passing Birmingham again I’d love to drop in. They offered me the chance to do so, which was very kind of them. 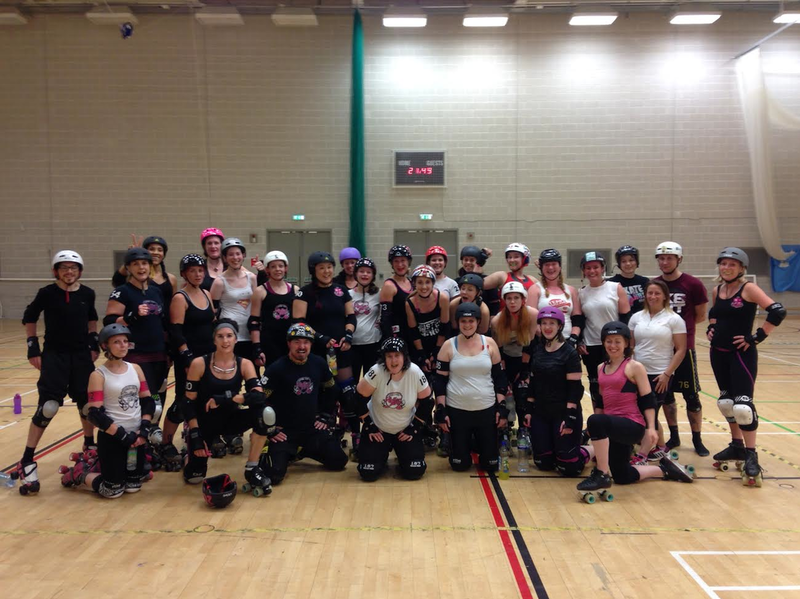 Anyway, in memory and utmost respect to Central City Roller Derby; awesome team, here is a pic of us all! I then headed over to Wolverhampton to park the van up outside my Granddad’s house. It was about midnight when I arrived. He’s knocking on 97 so it’d stress him out if I'd have gone in. I was happy winging it on the street anyway, that's what this trip is all about right? Time for my first van shower! Well - a bowl of warm water and a towel! Roll on a proper shower soon! 9am the next morning I was stood on my Grandad’s front door step. He’s so deaf and quite blind, bless him. It took him about 15 seconds to realise it was me and he had to put his face about 10cm away from mine to even get that far! So the next two hours went something like this... “Shall I make you a brew Granddad?” You what love? Speak more slowly will you”. “Shall…… I …… make…… you……. a ……. brew………?”. “You what love? Speak up a bit will you” - “SHALLLLLL……. IIIIIII……..MAKE…… YOU…..A….BBRREEWWWWWWWW”????. Granddad likes to talk a lot anyway. At the fear of losing my voice I just sat in silence for the following two hours whilst he told me the war stories I've heard about 57,000 times before. Ha! I also naturally enjoyed picking up the present from my Mum and Dad at Granddad's; 12 bottles of Budweiser and a massive bag of crisps and a little card saying good luck on my travels! Whoop! Ace - they wont last long! :) Thanks olds! During the day I also received a call to say the interview I had the day before was very positive and things are looking good. This job would be a good career development. It’ll change a lot of things and enable me to do things I've wanted to do for ages - mainly sell my flat, buy a house and oh…. my… God… (dare I even say it with out screaming) - GET A DOG! If you know me at all you’d know how absolutely mad on dogs I am - almost ‘weirdly’ like a bloody obsession or something. So although this would be quite a pay drop the quality of life would be much improved and that in its own right is priceless. So all in all, this call was a good one to get today! Fingers crossed it all works out. Still have another person to speak to and discuss package etc., then it’ll be a done deal. But I don’t count on anything until it’s signed and sealed! Fingers, toes and eye balls crossed! So 7.40pm I rock up with Manchester Roller Derby. Again I've seen their A team take on Bristol A’s - Manchester won and were freaking awesome! So I knew this crew were going to be good. Also, getting coached by ‘Tori Bee’ - errrrmmmmmm hellllooooo Team England player! Yes please! Not only that but tonight they were mixing up training with the girls and boys. I’d never played co-ed before so that alone was a new experience. Once again, the whole team were incredibly nice. The more derby teams I meet the more its confirming to me that the ‘derby world’ is just full of totally lovely people. Having played football for over 25 years to a relatively high standard you’d just never get that level of friendliness! If I'd have tried to arrange this trip a few years back whilst I was still playing football a) I dunno if they’d have let me train and b) if they did - I'd spend half the night feeling like a plagued leper, let alone half the team welcoming you with open arms, chatting to you and making you feel welcome immediately. Within minutes pretty much all of them had made an effort to say hello and smile and say they hoped I enjoyed the session. Two Irish sisters in particular really went out their way through out the session to make sure I was OK and teamed up with me in groups etc. So nice! Once again some really awesome drills and I learnt lots. Particularly like the new sweeping moves they did. One in particular looked lethal and to my eye looked totally illegal but as Tori broke it down it was evident it was completely legal - just brutal on your opponent! :D Awesome! But some really good strategic stuff as well though out the session! Generally the standard was high. There was no skaters evidently straight out of fresh meat! And the team are so blinking tall! I felt like a midget! Coincidentally, a few months ago when Manchester played Bristol, Tori stood out as an amazing jammer. To the extent I filmed her on my iPhone to watch her and her fancy footwork later. When I contacted Manchester I had no idea she was their coach! I showed her my footage on my phone… Then I realised I actually looked like her weird stalker! So I let it lie after that. Ha! Bath – we need to get her down to do a guest coaching session; she said she’d be well up for coming along! I was lucky I’d just had one of her sessions for free! So after a sweaty session I was asked where I was sleeping that night; I said I was heading to Liverpool and gonna crash at a services on route. At that point about 3 people offered me a place to stay at theirs! There's that derby love again! Very kind offers but I was weirdly keen to crash at a services. It was a totally calculated decision, and part of the tour's plan! 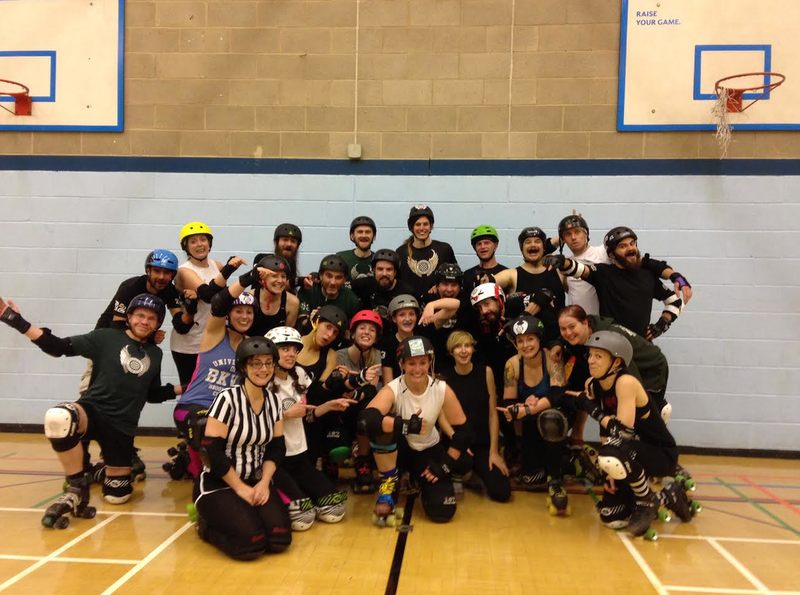 Anyway - for another memory - here’s Manchester Roller Derby team with a random weird Bath skater in the middle getting pointed at. Ha! Thanks Manchester you rock! Would love to skate with you again!! Great skaters and very lovely people! So randomly driving to Liverpool with the plan I'd stop at the first services possible. I’m stood in 24 hour WHSmiths which is where you get your over night ticket from. I obviously looked rough - I was rosy-faced and wearing sports clobber with sweaty hair. I was born with no sense of smell so I had no idea of my scent. I can only assume it was horrendous as I'd worn the same t-shirt and leggings as I trained in the day before. I bought some food and a drink and as the guy was beeping my stuff though he said “we have showers here as well you know”. OH MY GOD! I must have been reeking to the high heavens! Hahaha! Hardly surprising I'd just done 4 hours of derby in the same clothes in 24 hours (I wore different clothes during the day just to make that clear!) Oooops!! Stinky S’Macs. Am I the only one who didn’t know services offer showers? How amazing is that? Needless to say I got a shower (in true gypsy style) and parked up in a very safe corner under a camera and by the main shopping bit. I put my pads under the van to air them (I assumed there’d be no crazy crash pad thieves who linger around services on the M62). Got the van set up and finally got to bed at around 3am after a couple of beers and a guitar strum! Yesssssss!! I accept my circumstances are unusual right now with this trip but I can hardly relate to how I was feeling a couple of months ago .i.e. before the “brew and hang over chat” with Foxy and Ali. 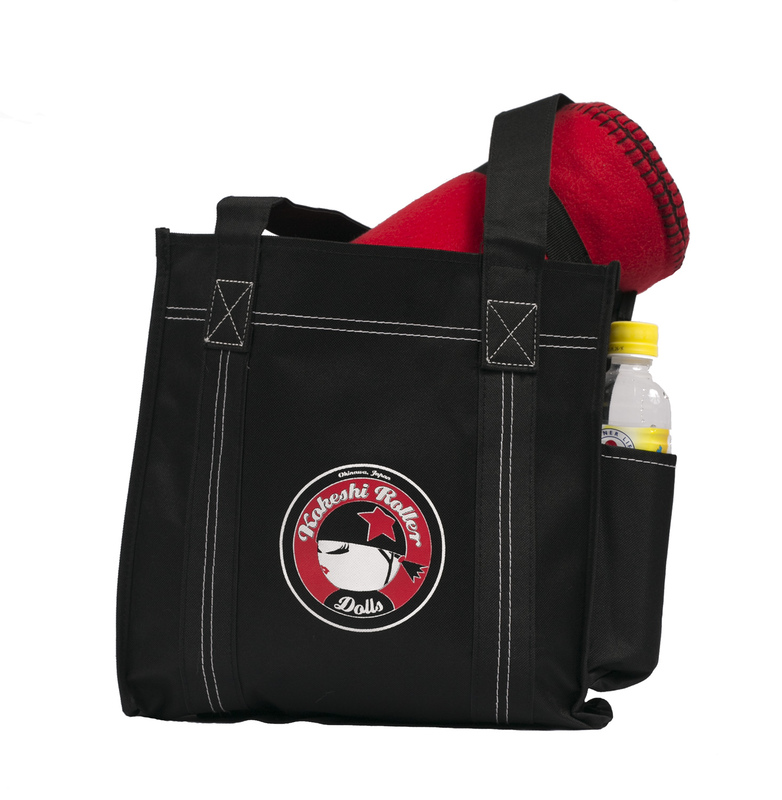 One of my fave mottos – “life is not a dress rehearsal” – so bloody well live it and enjoy it! I know I am… and plan to continue to do so too! Life's way too short to be miserable! I'm only in to this trip a couple of days but so far can confidently say I'm having the time of my life and can hardly wait to see what awaits me in the next few weeks! PS) These blogs will get smaller I promise - just had a lot to put int the intro and a lot been going on in the last couple of days! Chill day tomorrow! And relax!